Your audience can see and read the slides for themselves. 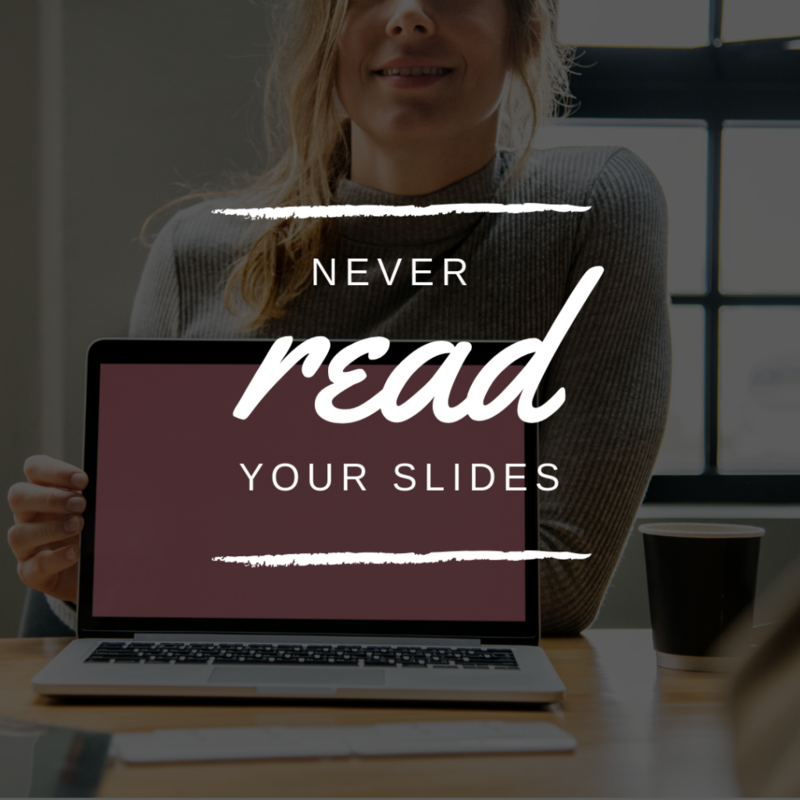 Reading your slides aloud is boring, uninspired, slows down your presentation’s momentum and diminishes your persuasiveness. Instead, provide additional information and give your audience the chance to absorb your slides and content at their own pace. Let your slides speak for themselves. So remember: never read your presentation slides. Previous Post A Presentation Without Bullet Points?